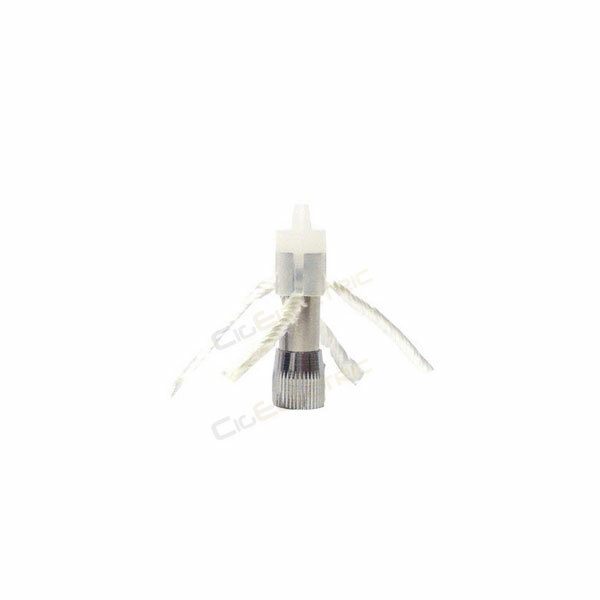 The iClear 16 heads are available in 1.5 ohm and 2.1 ohm resistances. We recommend the 1.5 ohm for fixed voltage batteries like the INNO and LEO Pro and the 2.1 ohm head for variable voltage devices like the VV 3.0 and the iTaste MVP. 4 high quality wicks make sure plenty of e-liquid is fed into the device. This ensures great vapour production and no ‘dry hits’. The iClear works great with any of the e-liquid available from CigElectric. To replace your head simply unscrew the bottom base from your clearomizer, be careful if there is still liquid left in the tank. You can then unscrew the old head and replace with your new one. Reassemble and fill like usual. Allow several minutes for the new head to soak up the liquid.